Blueberries, salmon, walnuts and other well-known brain-healthy foods are the go-to foods for people who want to keep their minds sharp. But there’s another food that should be added to that list, according to a study published in Journal of Alzheimer’s Disease. “It seems that a commonly available single ingredient could have a dramatic effect on cognitive decline,” said Lei Feng, MD, PhD, lead author of the study and assistant professor in the department of psychological medicine at the National University of Singapore. What is this brain-friendly fare? It’s mushrooms! In the first phase of the six-year study, scientists gave 663 adults, age 60 and older, neuropsychological tests to assess whether they showed any mild cognitive impairment (MCI), a form of cognitive decline—beyond normal aging—that often progresses to Alzheimer’s disease. Bottom line: Because MCI has been shown to increase risk for Alzheimer’s disease, a simple dietary habit, such as consuming mushrooms, is a smart move. They are low-calorie, low-fat and delicious. To help your brain age like a champ’s, consider adding button mushrooms to a pizza…shiitakes to a stir-fry…or whatever mushroom dish strikes your fancy. 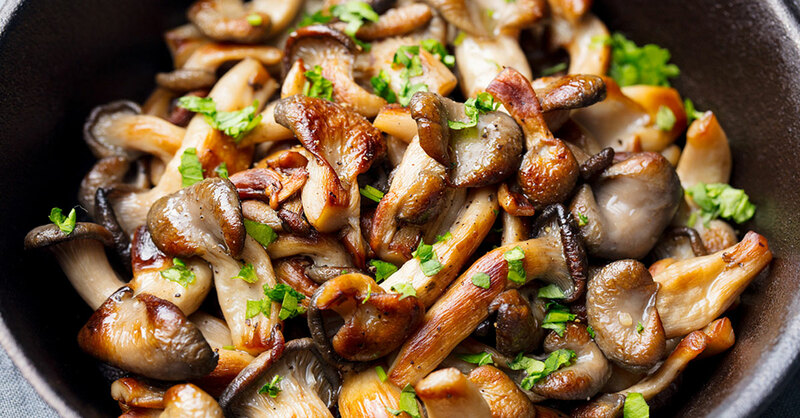 Bonus: For some delicious ways to add mushrooms to your meals, try these recipes. Caution: Do not eat wild mushrooms unless they have been approved by a mushroom-identification expert, warns the National Capital Poison Center. Mushroom poisoning is common—and can be fatal.